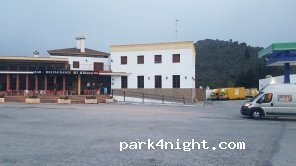 Station service perdue en pleine montagne à côté d'un restaurant où l'on peut vider les eaux usées et remplir les eaux propres gratuitement. WC gratuit en demandant la clé au pompiste. 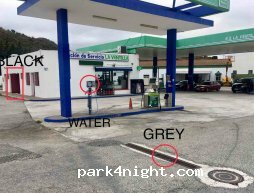 Gas station lost in the mountains next to a restaurant where you can empty sewage and fill the clean water for free. Free WC by asking the key to the pump attendant. It's behind the car wash to empty the wastewater. 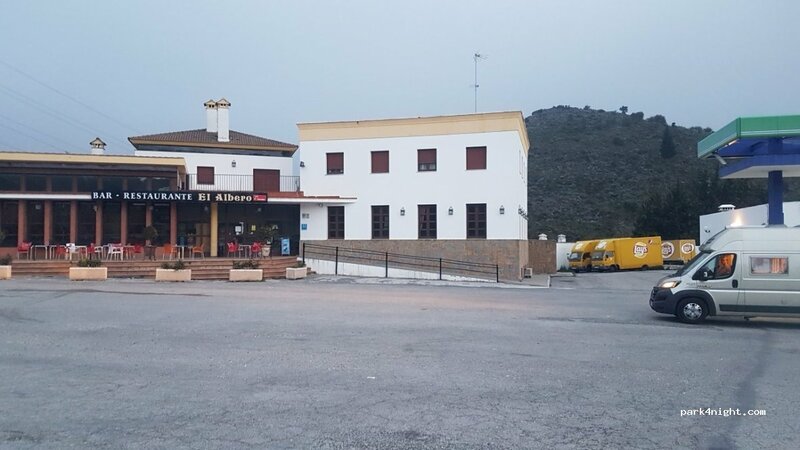 Gasolinera perdida en las montañas al lado de un restaurante donde puede vaciar las aguas residuales y llenar el agua limpia de forma gratuita. WC gratis pidiendo la llave al encargado de la bomba. Está detrás del túnel de lavado para vaciar las aguas residuales. Free to empty grey & black water and to fill up with fresh water too! The fresh water takes a while to fill full tank but who cares when it’s free?! Be careful when emptying black water as it is just into a toilet - if you make a mess, clean it up- services like this are a fantastic and if mis-used it may be stopped. Attendant very helpful. Showed me where to dump grey water and where to fill with water. Water is slow as it’s a gas station trigger for topping up radiator. You dump black down WC so be clean guys as this service could be easily withdrawn if it’s abused and left dirty!